At the turn of the twenty-first century, Argentina was in the midst of its worst economic crisis in decades, the result of years of drastic neoliberal reforms. This book looks at the way ideas about race and nationhood were conveyed during this period of financial meltdown and national emergency, examining in particular how the neoliberal crisis led to the critical self-questioning of the dominant imaginary of Argentina as homogenously white—allegedly the result of European immigration and the extinction of most indigenous and black people in the nation building age. The Darkening Nation focuses on how the self-examination of racial and national identity triggered by this crisis was expressed in culture, through the analysis of literary texts, films, artworks and music styles. By considering a wide range of artistic and cultural products, and different forms of racial identity and difference, this study constitutes a timely addition from a literary and cultural studies perspective to recent academic inquiry into race and nation in Argentina. "Ignacio Aguiló’s study is a major contribution to an emerging scholarship on race in Argentina. 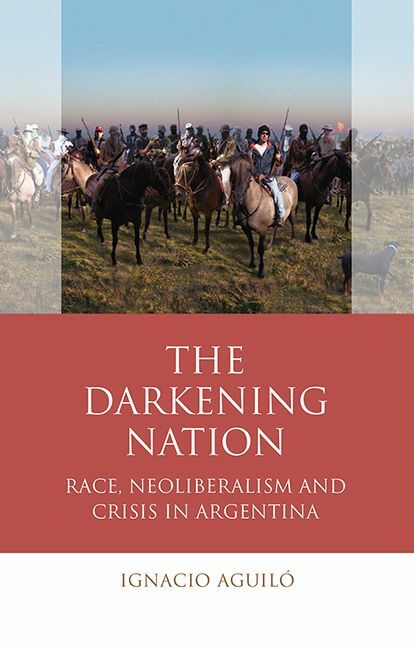 Built on solid research, The Darkening Nation presents a compelling account of the ways in which Argentine culture dealt with racial anxieties and struggled to redefine nationhood in the aftermath of the 2001 crisis." "At a time when, in Argentina and elsewhere, a racialised discourse of friend and enemy, believed to have long been superseded, once again dominates the political sphere, Ignacio Aguiló’s sweeping survey of film, literature and visual art since the millennium provides an indispensable point of critical reference."